I really, really, really wanted very small felt beads for a couple of my felted projects and I finally had the time to practice my wet felting skills. About 30 or 40 attempts later and I’ve got a working method. 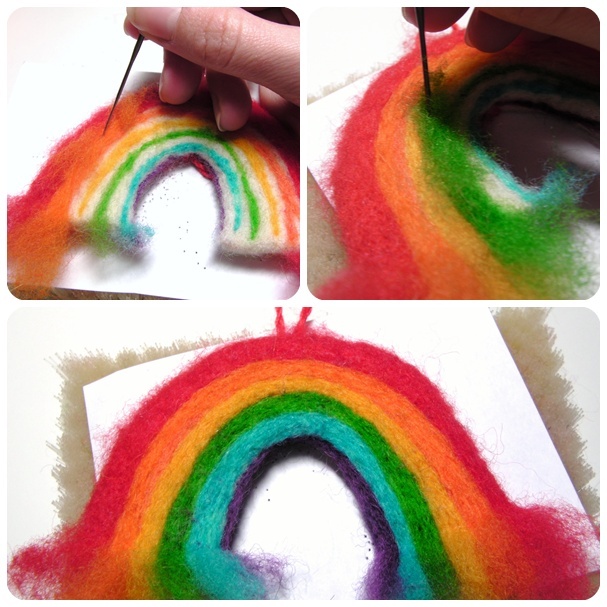 As a result, today’s tutorial is wet felted beads! 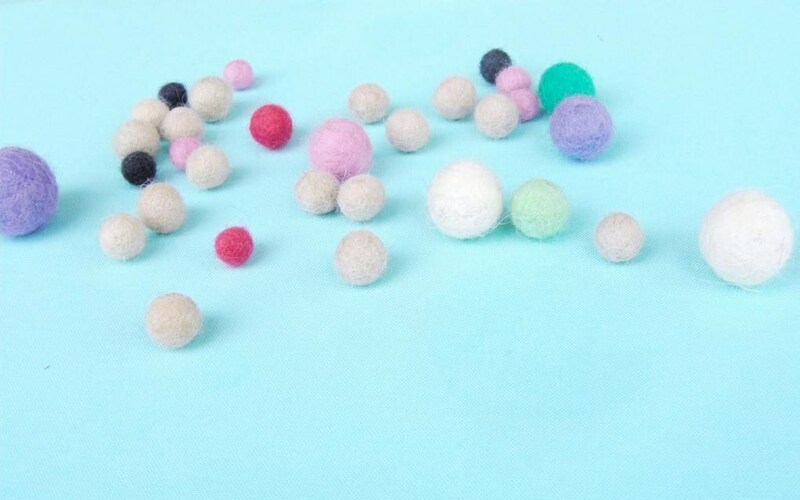 The washing machine works great for larger wet felted balls but tiny beads under 1/2 in. don’t really work well using that method. Needle felting doesn’t work well either, unless you want bandaids all over your fingers! So, wet soapy, possibly dishpan hands are necessary to complete this task! Let’s Go . 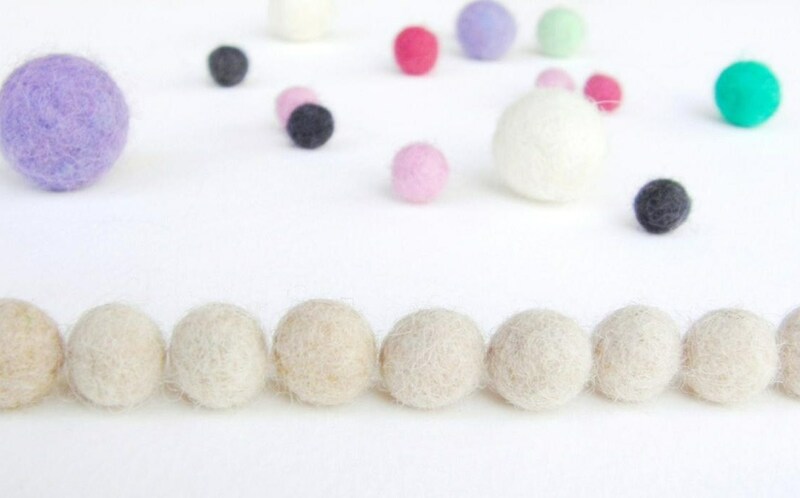 . .
First things first, roll up some tufts of wool into loose balls. Tie a knot in the wooly tuft, grab it by the knot, fold in half, and roll it up. Then get another tuft, set the knotted rolled tuft on it, and roll that up. When adding a new tuft turn the loose ball so that you are working it in multiple directions. Keep adding tufts of wool until the loose ball is about twice the size of the wanted dimensions. It takes some trials to figure out the right amount of wool to begin with! 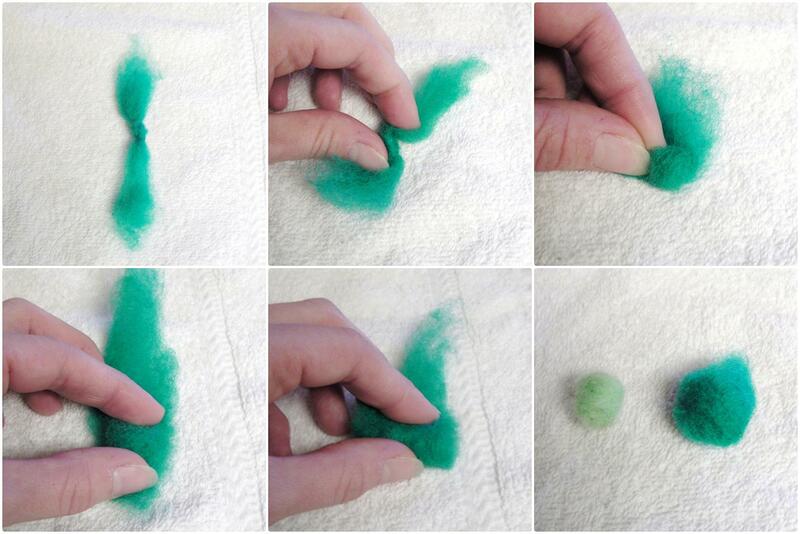 Lightly needle felting the loose ball can help with the wet felting process; but it is completely optional. I tried it both ways. 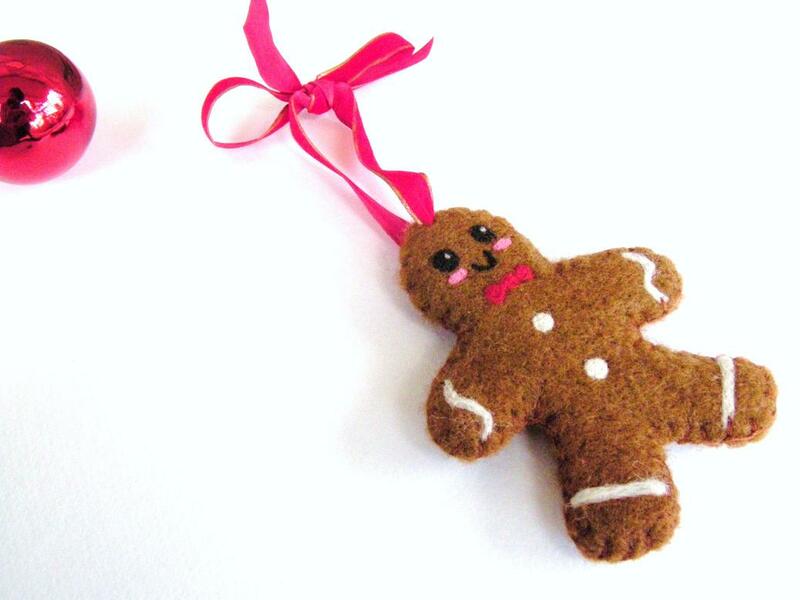 Needle felting it first avoids creating unwanted seams; but if you go slow and steady they shouldn’t happen anyways! The small light green ball was needle felted first and the teal ball was not. Once the loose balls are formed, prepare the necessary materials. 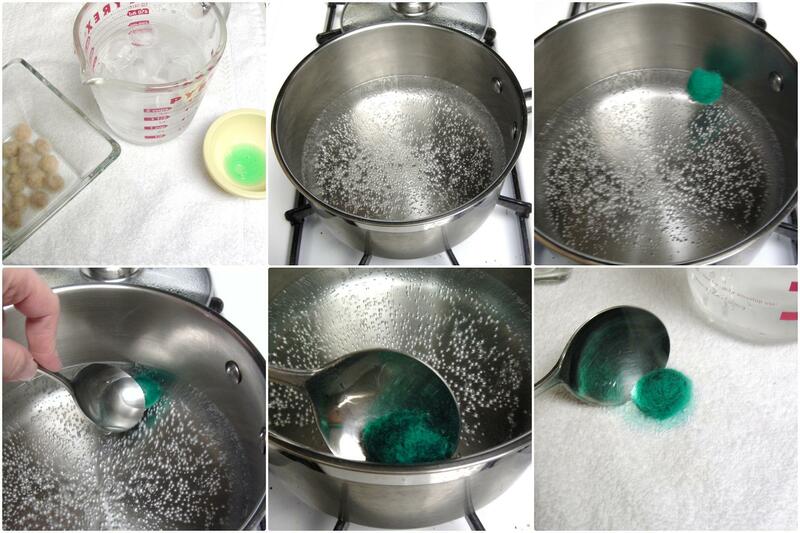 . . a bowl of cold water with ice, a small dish of soap, and boiling water. Set the icy water and dish soap on a towel because things are about to get wet! Keep the boiling water on the stove. Once it boils you can turn it off. But when it starts to cool down, turn the stove back on for a bit. Drop the wool ball into the boiling water, then submerse it with a spoon. Remove the ball from the water and drop it on a towel for a couple of seconds. Use HOT water not warm water. 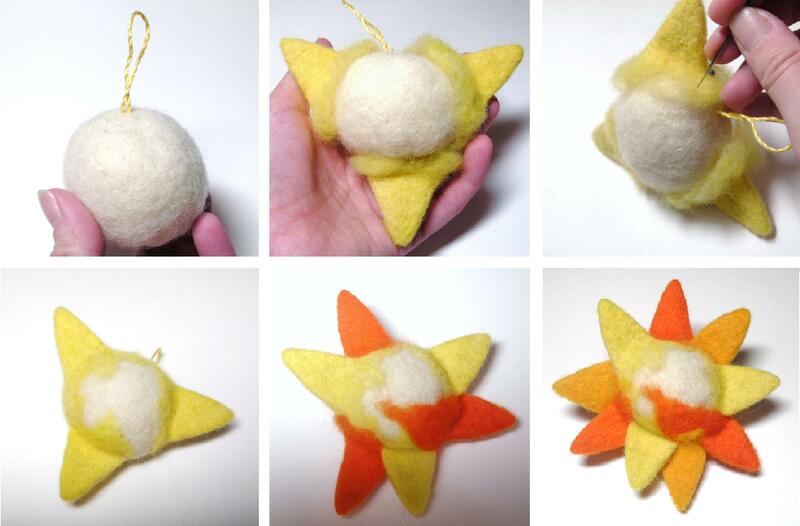 The felting process is much faster with hot. 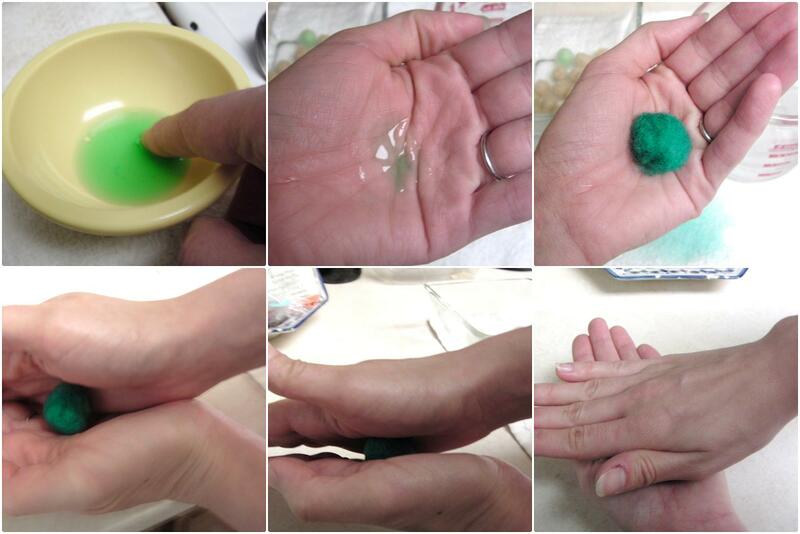 Get a small bit of soap on your fingertip, then place it in the palm of your hand. Start working the ball between your palms. 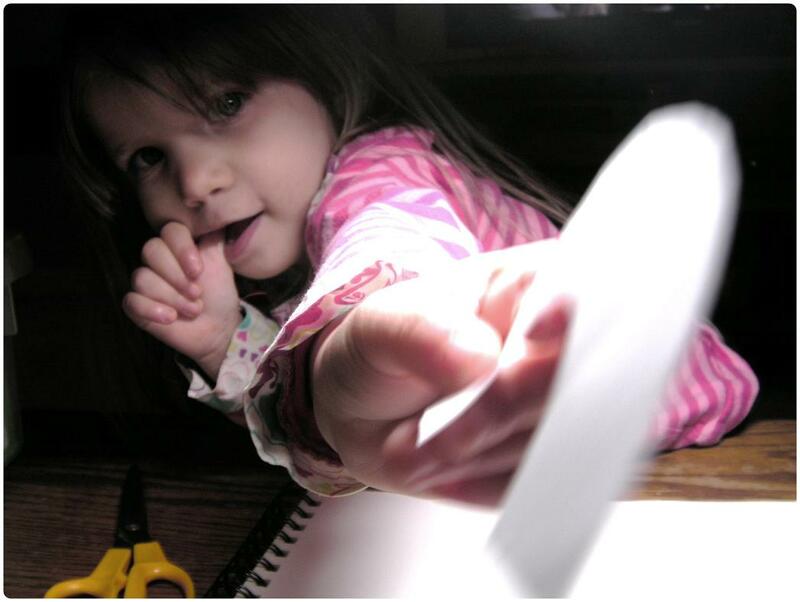 Hold your left palm still and move the right palm in a circular pattern. Do not apply pressure now or the wool ball will be squished! Very slowly and carefully, continue to roll the ball between your palms. Do this for about 2 to 3 minutes. At this point, the ball should become a little more dense; now is the time to start applying pressure. Lightly apply pressure at first and then increase the pressure. You can go a little faster now that the ball is dense. Eventually the wool bead will start to feel like a little rock in your hands. The whole felting process takes about 4 to 5 minutes. 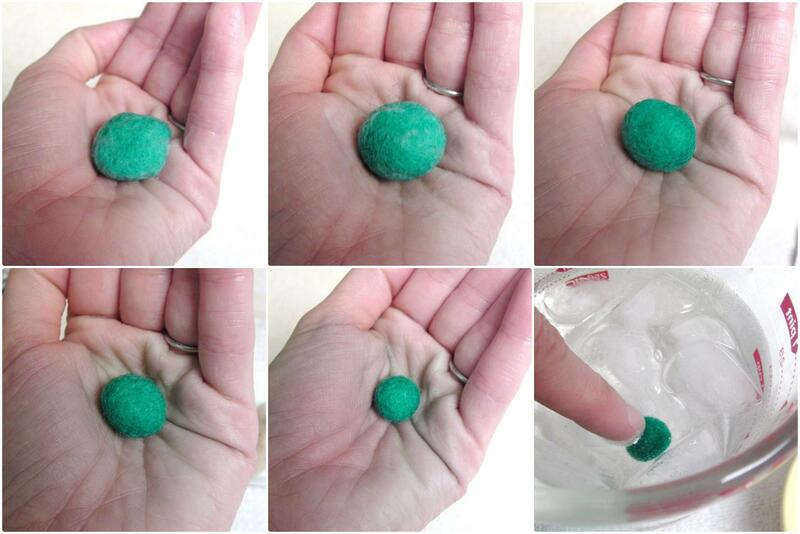 Now drop the felted bead into the icy water and submerse it with your fingertip. 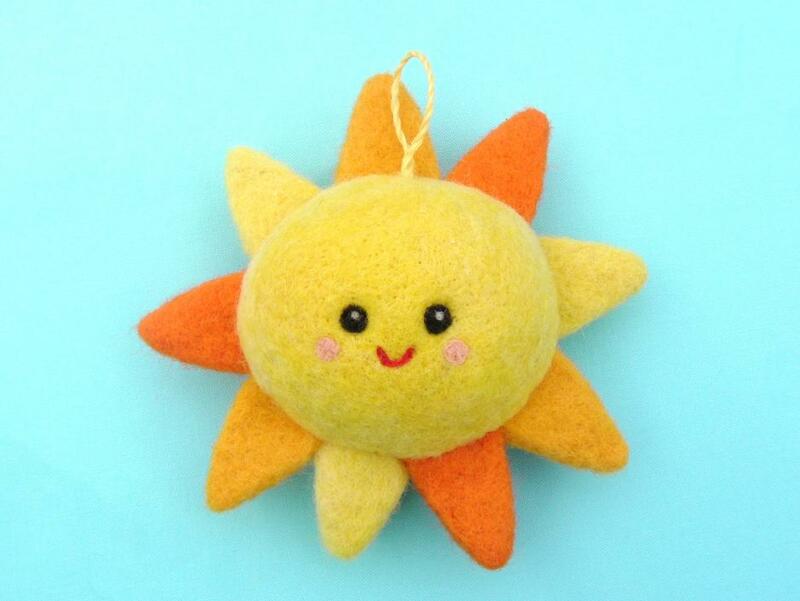 Your hands should get a little sudsy while felting. If it’s so soapy that it is difficult to roll the ball smoothly, wipe your hands on a washcloth. Apply pressure when your bead resembles the 4th picture. Or about 3 to 4 minutes into felting. Set the soggy bead onto a towel to dry. It will take up to 12 hours to completely dry. The beads will harden up a bit after drying. If they are completely dry and still not dense enough, just repeat the entire process again. More than likely if that happens, you did not apply enough pressure in the final step! Test your wool to see if it is colorfast. If not, do the beads in batches of similar colors. These little beads can be strung together rather easily and you can even embroider embellishments on them. My felted beads will become beady legs for a felted doll and a felted bumblebee. 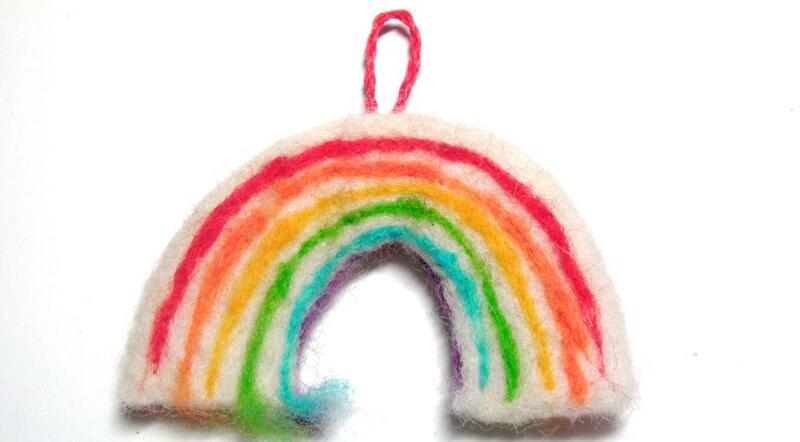 Just remember getting that perfect felted bead will take a bit of practice!